Assets worth more than Gold! Did you know you have assets available to you right now that are worth more than gold and silver? The other day I was at the auto shop getting some work done on my vehicle, basic routine maintenance. While sitting in the waiting room I overheard the guy at the register talking to one of the other customers. She was complaining that something must be wrong with her vehicle, that it must still be under warrantee, the car was only 2 years old, how could I need all new brakes so soon? Does that sound right to you? Should I call the dealership, she pleaded. He continued, “we couldn’t figure out why she was going through her brakes so much until one of my mechanics took a ride with her, and he will never do that again! He says she drives at high speed until the very last minute at a red light, then slams on the brakes to an abrupt stop almost ever time. She drive insane, and burns up the brakes.” He explained how he loves having her as a regular customer but if she would just start to slow down at a proper distance he brakes would last much longer…well apparently she has heard that all before, and wanted NONE of his advice. Her choice to not apply wisdom that evidently had already been given to her was costing her $2300, and chose not to use it. The other lady, who didn’t yet have the wisdom realized just then and there….her carelessness in being harsh on her brakes was costing her a new set of brakes, it may seem obvious, but to some, that’s what brakes are for. Apparently no one had cared enough to explain that to her yet up to this point. The manager said, sorry to tell you the bad news, but I’d recommend to take it easy on the brakes and it will last you much longer. She replied, “no, don’t be sorry, it’s an expensive $480 lesson to learn for me”. Now that is someone who takes responsibility for their own actions, good for her. I’d be willing to bet she is very cautious and gives herself plenty of time to slow down with her new brakes, and her new wisdom which is worth it’s weight in GOLD….if applied. 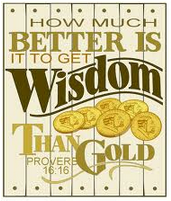 Give freely your time, effort, wisdom/advice and offer resources to be a go-giver to other people, it will take you far down the path for developing mutually beneficial, long term, win-win relationships. If there is an image you like, click Pin It, thanks! I love the quotes haha. I also am second guessing a Range Rover now jk.